This month’s issue of the Queue lauds the re-emergence of smart print magazines for landscape architecture, admires a new restorative space behind bars, questions how friendly “bee-friendly” plants really are, and considers a trip to Reno…again. Landscape architecture students at Iowa State University, who designed and built three outdoor classrooms for inmates at the Iowa Correctional Institute for Women (“A Garden Behind Bars,” LAM, November 2013), have designed a new restorative space for the prison staff. It worked! +POOL, a floating pool designed to filter New York’s grubby East River for recreation (“Open Water,” LAM, July 2013), reached its Kickstarter goal this month. The innovative filtration system seems to be cleaning the water as anticipated. Toronto’s gritlab (“The Toronto Trials,” LAM, February 2014) has started phase II by installing 40 solar panels above green roof beds to measure the possible coexistence of green energy and green roofs. Friend or frenemy? A new study shows 51 percent of “bee-friendly” plants sold through major retail chains nationwide tested positive for pesticides shown to harm and kill bees. Entertainment mecca Pleasure Beach, Connecticut, had a century of very good times under its belt before a fire cut off access in the 1990s. Salon reports on the new plan to bring back the good times, and the habitat, for the tiny peninsula town and the nearby city of Bridgeport. The boundary-shattering Art + Environment Conference at the Nevada Museum of Art will be held October 9–11, 2014, and will take on themes such as Posthumanism and Geoaesthetics. We recently lost the iconic Glasgow School of Art building to fire, but surviving works of Charles Rennie Mackintosh will be on display in Mackintosh Architecture: Context, Making, and Meaning at the University of Glasgow from July 18, 2014, to January 4, 2015. Fresh fish in the food court! You have to catch it yourself. With your hands. Quiz time! We got “Medium Chill Pragmatist.” What’d you get? 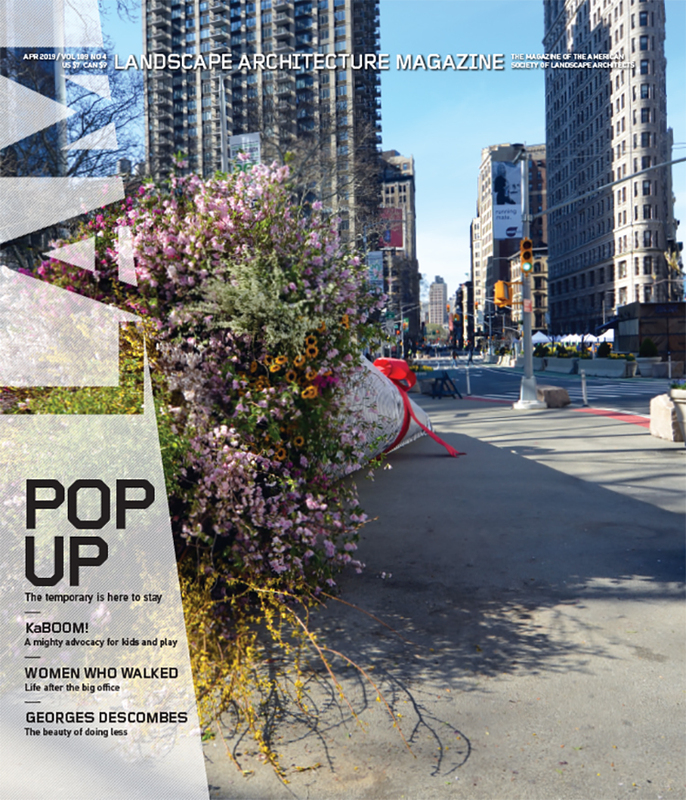 Nat Geo does a little tactical urbanism. And it’s pretty good.